Fruit pods for the ALD Amaze Epoch are a fantastic alternative to your usual tobacco or mint vape. Packed with juicy mixed fruit flavour, Epoch Fruit pods are ideal for vapers who like a sweet vape that isn’t overpowering. 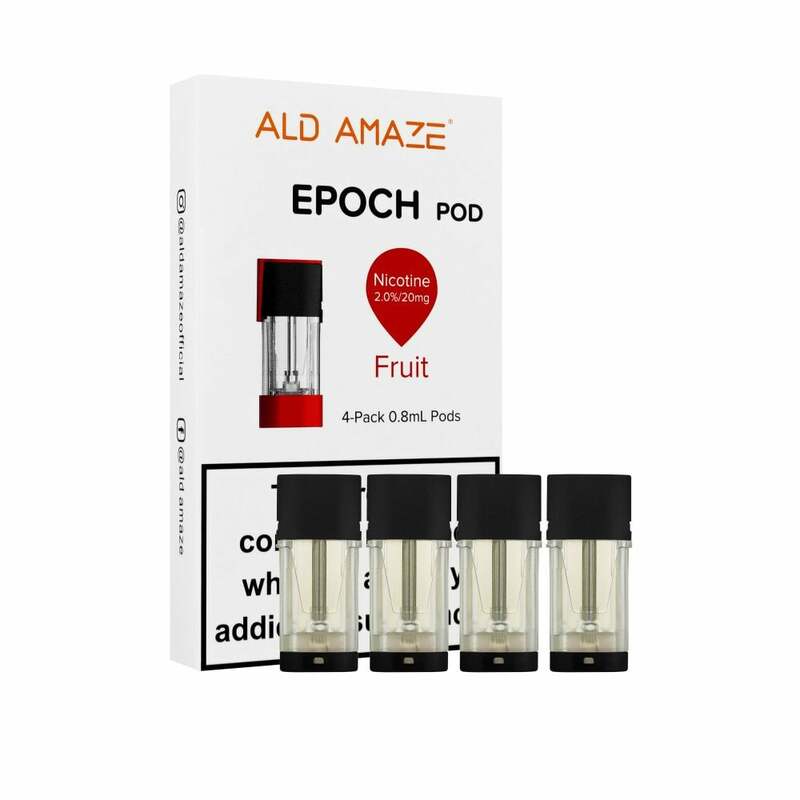 Epoch pods by ALD Amaze come pre-filled with 0.8ml nic salt e-liquid with a nicotine strength of 2% for a smooth inhale and an intense hit of nicotine. Epoch pods are compatible with the ALD Amaze Epoch only and come in packs of 4.